Another book in the addictive series you'll wish would never end" category of the 2016 Summer Reading Guide! I adore this series; this is book 9. Add Audible Narration for $12.99. 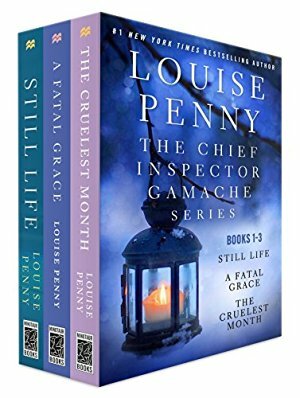 I loved the first book in Louise Penny's Chief Inspector Gamache mystery series, Still Life, so much that I included it in the minimalist summer reading guide. (I got Will hooked on the series, too, which is always high praise.) Add Audible narration for $12.99. 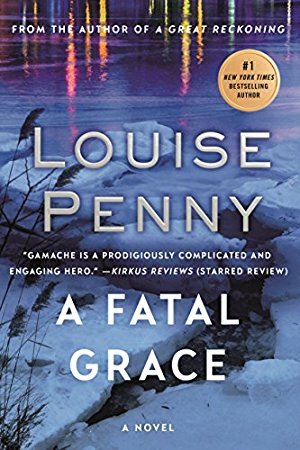 From the publisher: "#1 New York Times bestselling author Louse Penny's beloved Chief Inspector Armand Gamache mystery novels have received critical acclaim, won numerous awards, and have enthralled millions of readers. Featuring Chief Inspector of Homicide Armand Gamache of the Sûreté du Québec." From the publisher: "Welcome to winter in Three Pines, a picturesque village in Quebec, where the villagers are preparing for a traditional country Christmas, and someone is preparing for murder. No one liked CC de Poitiers. Not her quiet husband, not her spineless lover, not her pathetic daughter—and certainly none of the residents of Three Pines. CC de Poitiers managed to alienate everyone, right up until the moment of her death. 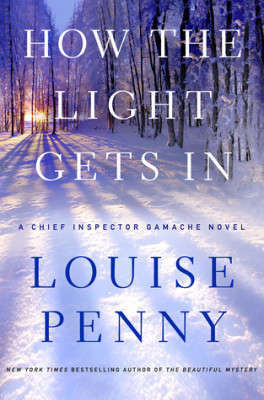 When Chief Inspector Armand Gamache, of the Sûreté du Quebec, is called to investigate, he quickly realizes he's dealing with someone quite extraordinary." Add Audible narration for $3.99. 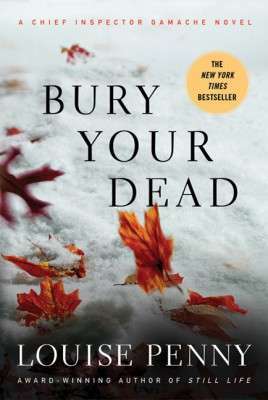 These mysteries are unlike anything I'd ever read: the whodunit plot lines are just an excuse to explore human nature, granting them a depth and psychological astuteness I never expected from this genre. 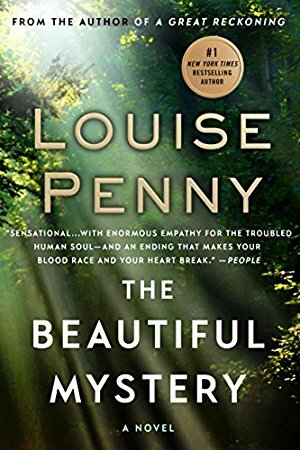 Louise Penny is a Summer Reading Guide pick (in the addictive series category—you'll see why) and an author worth binge reading. I adore this series. From the publisher: "The peace of Three Pines is shattered. 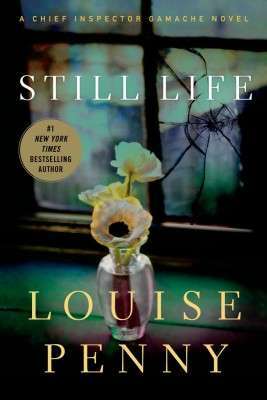 As families prepare to head back to the city and children say goodbye to summer, a stranger is found murdered in the village bistro and antiques store. 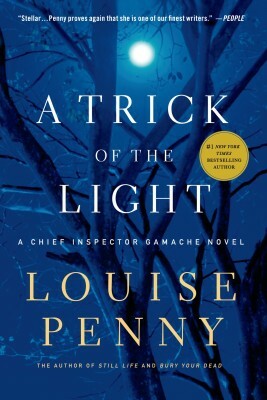 Once again, Chief Inspector Gamache and his team are called in to strip back layers of lies, exposing both treasures and rancid secrets buried in the wilderness. No one admits to knowing the murdered man, but as secrets are revealed, chaos begins to close in on the beloved bistro owner, Olivier. Why does every lead in the investigation find its way back to him?" 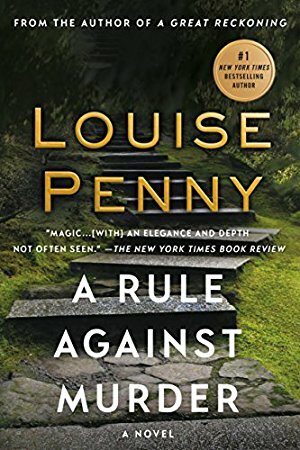 This eighth installment of Louise Penny's Chief Inspector Gamache series takes place when "the lock on the monastery of Saint-Gilbert-Entre-les-Loups is drawn back, hidden deep in the wilderness of Quebec, where two dozen cloistered monks live in peace and prayer, they grow vegetables, they tend chickens, they make chocolate. And they sing. Ironically, for a community that has taken a vow of silence, the monks have become world-famous for their glorious voices. Before restoring peace, the Chief must first consider the divine, the human, and the cracks in between." 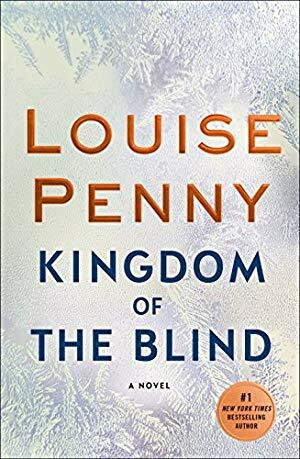 The reviews on this call Penny "utterly reliable, utterly enchanting" (Herald Sun) and "ingenious, gripping and elegant... an utterly magical read." Add Audible narration for $12.99. 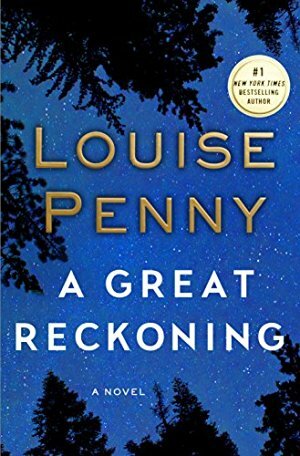 Booklist calls this "Another gem from the endlessly astonishing Penny." 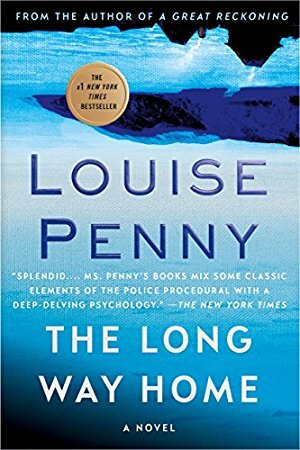 The New York Times says "Ms. Penny's books mix some classic elements of the police procedural with a deep-delving psychology, as well as a sorrowful sense of the precarious nature of human goodness, and the persistence of its opposite, even in rural Edens like Three Pines." 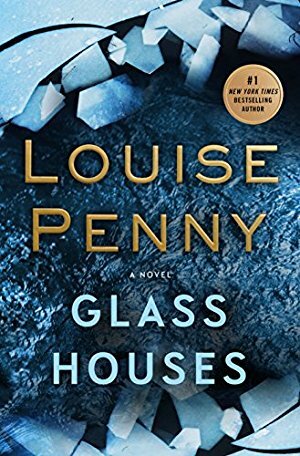 In the 11th installment of Penny's Three Pines series, a young boy stumbles upon an inexplicable, frightening something that's been hiding in the woods for a long, long time, revealing that the town's history is darker than anyone imagined. The investigation into what happened six months ago―the events that led to his suspension―has dragged on, into the dead of winter. And while most of the opioids he allowed to slip though his hands, in order to bring down the cartels, have been retrieved, there is one devastating exception. 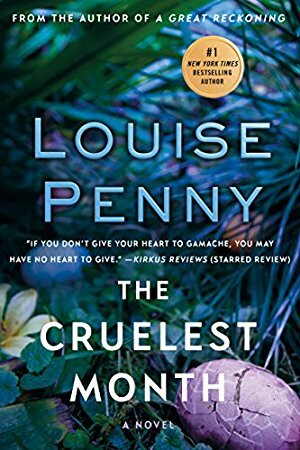 From the publisher: "#1 New York Times best-selling author of the Chief Inspector Armand Gamache novels, Louise Penny brings her 'nerve and skill—as well as heart' (Maureen Corrigan, Washington Post) to selecting the best short mystery and crime fiction of the year. 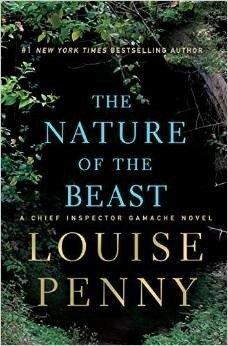 Louise Penny in her introduction. “In a short story there is nowhere to hide. 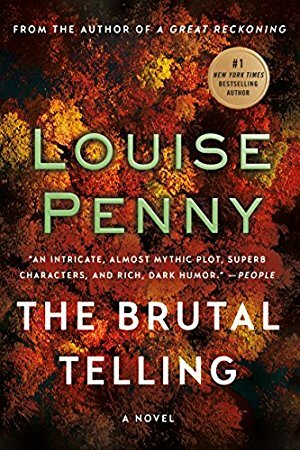 Each must be original, fresh, inspired.” Originality is just what’s in store for readers of the twenty clever, creative selections in The Best American Mystery Stories 2018. There’s no hiding from a Nigerian confidence game, a drug made of dinosaur bones, a bombing at an oil company, a reluctant gunfighter in the Old West, and the many other scams, dangers, and thrills lurking in its suspenseful pages. 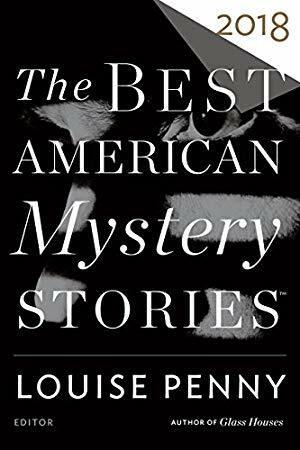 The Best American Mystery Stories 2018 includes T. C. Boyle, James Lee Burke, Lee Child, Michael Connelly, Charlaine Harris, Andrew Klavan, Martin Limón, Joyce Carol Oates, and others."